Don’t need too much operation. 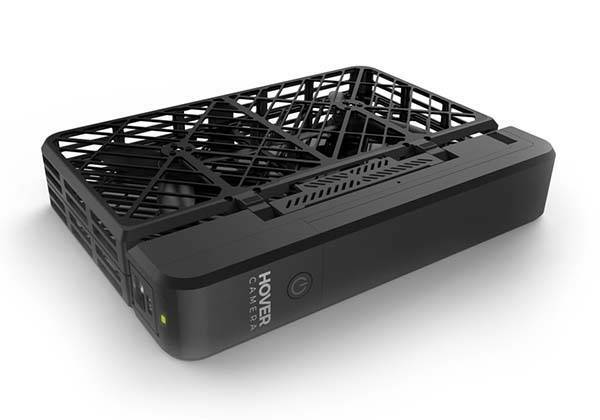 Hover Camera Passport camera drone provides a more simple way to take aerial photos and videos. Sounds cool? Let’s keep checking. 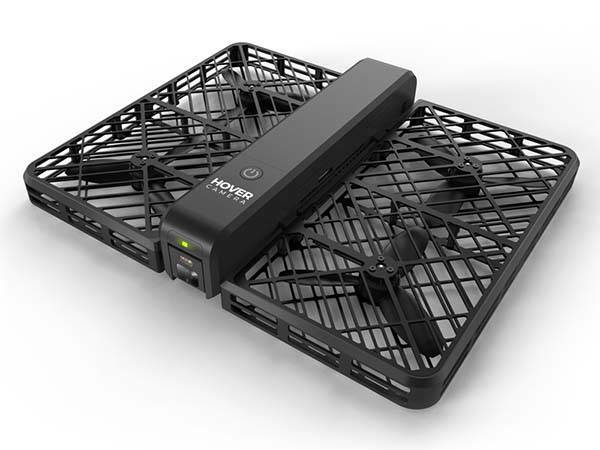 The Hover Camera Passport is an easy-to-control and pretty fun camera drone that measures 182 x 132 x 32.5mm (folded) and weighs 238g. As we can see from the images, the drone shows off a simple and sleek appearance, and its foldable design and lightweight profile allow you to easily take the drone anywhere you go. Meanwhile, its carbon fiber enclosure enables it to withstand drops and crashes, and its four propellers have been enclosed in the carbon fiber frame for safe flight. The camera drone features ultra simple control. All you need to do is just release it in the air. The drone can automatically hover at the place where you released it, and it supports up to 10-minute hovering time. 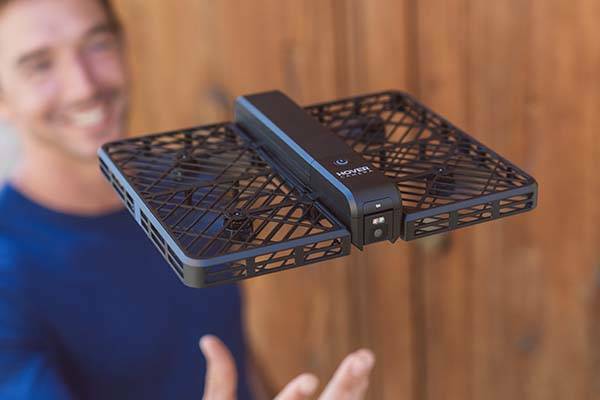 Using built-in WiFi connectivity, the drone wirelessly connects with your smartphone, so you can use its companion app to control your Hover Camera Passport. As a camera drone, Hover Camera Passport comes equipped with a 1/3.06″ 13MP CMOS sensor and a 28mm lens with 78.4-degree FOV and f/2.0 aperture, so it has the ability to record 4K videos or take 13MP photos. Its 360-degree spin feature allows it to capture 360-degree panoramic videos. Using face detection technology and body tracking feature, the camera drone helps you take awesome aerial selfies and capture every great moment during any outdoor activity. The Hover Camera Passport camera drone is priced at $599 USD. If you’re interested, jump to Amazon for its more details.